Phil Elverum got the email months after the fact. Organizers for Le Guess Who Festival in the Netherlands had a recording of his 2017 show at the fest. 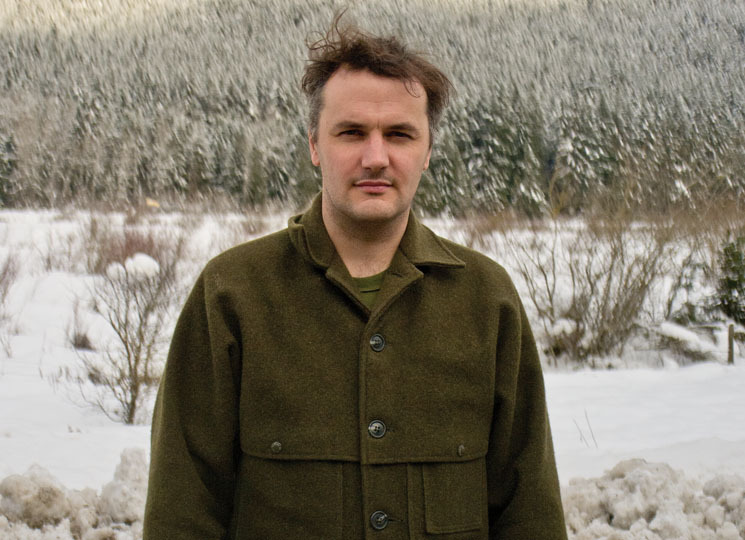 Performing as Mount Eerie, he'd played songs from his stark album, A Crow Looked at Me, as well as then unreleased material from its followup, Now Only, in a gothic church. "We've been circulating it around our office and everyone really loves it," it read. "Would you be okay with us releasing it online?" Elverum listened to it and came to a quick realization. "No," he replied "I want to release it." The result is (After), a co-release between his own label, P.W. Elverum and Sun, and the festival. The recording captures what Elverum says was "the best show I'd done since A Crow Looked at Me came out," a difficult, though artistically fruitful, period following the 2016 death of his wife, artist Geneviève Castrée. Both it and Now Only confront death and memory with plain-spoken lyrics and stripped down instrumentation and are profoundly beautiful and emotionally haunting listens. As both the Microphones and Mount Eerie, Elverum has released a handful of live tracks and albums, but says he's no fan. Most live recordings, he says, fail to capture the feeling of actually being in the room when a performance is happening. "My music project, I always thought of it as a recording thing." Most bands want to recreate their recordings onstage, but "I've taken a radically opposite approach and broken the songs down into alternate forms and tried to get out the underlying idea of what the song is. It's something that should only exist in the moment and then be gone forever." On the rare occasions when he has acquiesced and released live records, it was because the interpretations of the songs were so drastically different from their studio versions, and so linked to the time, place and people present — both players and audience — that he wanted them publically documented. Also, crucially, "the recordings came out good." That was the quality that Elverum heard when the festival sent him that initial recording. He's spoken at length about performing material from A Crow Looked at Me and Now Only for an audience. In the song "Now Only," he describes an outdoor music festival, "playing these death songs to a bunch of kids on drugs." More than any other live recording from this period, he felt that (After) captured that bizarre incongruity. "It brought out something new in the songs. Specifically, the strange experience of being in the room when someone is singing songs like this — the audience is silent, and emotion somehow translates on the recording." (After) caps off an unintentional trilogy of albums that have garnered Elverum some of the best reviews of his life. Still, he's unsurprisingly keen to move on from this phase of his career. "These 'death songs' — I don't even know what to call them — I hate to even include them with the word career," he says. "I sort of view them as their own island that hopefully I'll pass through it." Yet for once, the notoriously prolific artists is unsure what his next project will be. He recently married film actor Michelle Williams and left Anacortes, WA, where grew up and has lived since 2003, for Brooklyn with his young daughter. "I've got this new life and family shape. There's just so much that I have to let settle down," he says. The extreme heat of an East coast summer has proven to be one of the biggest hurdles. "I need some time to write songs and work on my thing, but I'm just living my life and doing family stuff and letting inspiration come when it comes. But I also don't feel a desperate need to keep pushing myself into people's faces to stay cool and relevant. I'm artistically satisfied and happy." (After) is out now on P.W. Elverum and Sun.